I have found a few good Sweepstakes to enter that I wanted to share with everyone. I try to enter a few sweeps every week, I might not win but I know I win never win if I dont enter. Good Luck to everyone, let me know if you win I get excited when my readers win too! 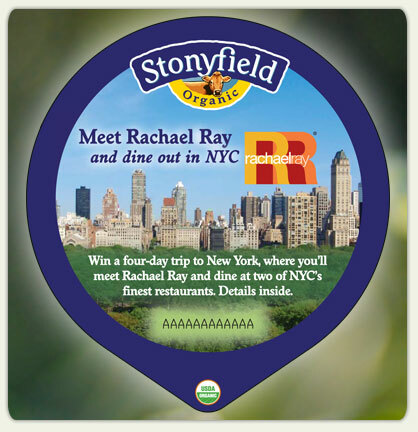 Stonyfield Organic is sponsoring a sweeps to Meet Rachael Ray and Dine Out in New York City.You can enter here. The sweepstakes will end November 30, 2010. Party Lite is having a Lite Up Your Holidays Instant Win and Sweepstakes. You play everyday for a chance to win a $50 Party Lite Gift Certificate (5 awarded daily) and be entered to win the Grand Prize of a $10,000 room makeover by Party Lite. You can enter here. The Promotion begins on October 1, 2010 at 12:00 a.m. Eastern Time ("ET") and ends on November 30, 2010.
a. From a Consultant: During the Promotion Period, speak with a Partylite consultant to receive a Code. b. Alternate Method: If you are unable to speak with a Partylite consultant, use DN4FJC as your Code. Mega Bloks is having a sweepstakes to win 1 out of 25 Mega Bloks Gift Packs in honor of their 25th Anniversary. You can enter here. Specially marked bags of Mega Bloks in stores have a card inside for a chance to win $25,000. if you buy this brand for kids be on the look out for game pieces. piece supplies have been exhausted, whichever occurs first. Do you use Frontier and Simply Organic products? If you do The Spice Is Right contest for you. The two companies have teamed up to give a spice pantry prize. The grand prize winner will receive a complete set of over 50 unique organic spices and seasonings. All you need to do to enter is submit a photo of yourself using any Frontier or Simply Organic product. Feel free to be creative with your submissions! Additionally, a ten item sampler set will be awarded to two entrants. You can enter here. 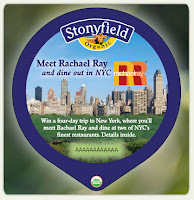 This contest period is from October 14, 2010 at 12:00:01 a.m. and November 15, 2010 at 11:59:59 p.m.